Bring the flavors of Tuscany to your home, office or special venue. 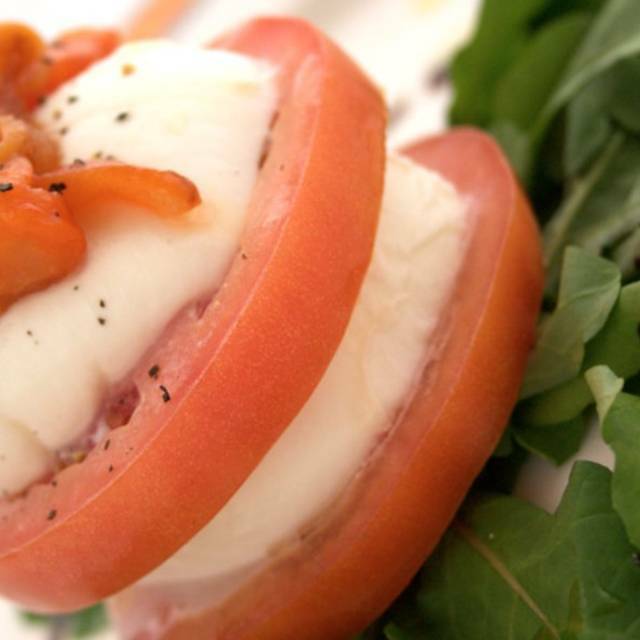 TOSCANA Ristorante is located in the specialty shops across from South Park Mall, and is South Charlotte’s premiere upscale Italian restaurant. 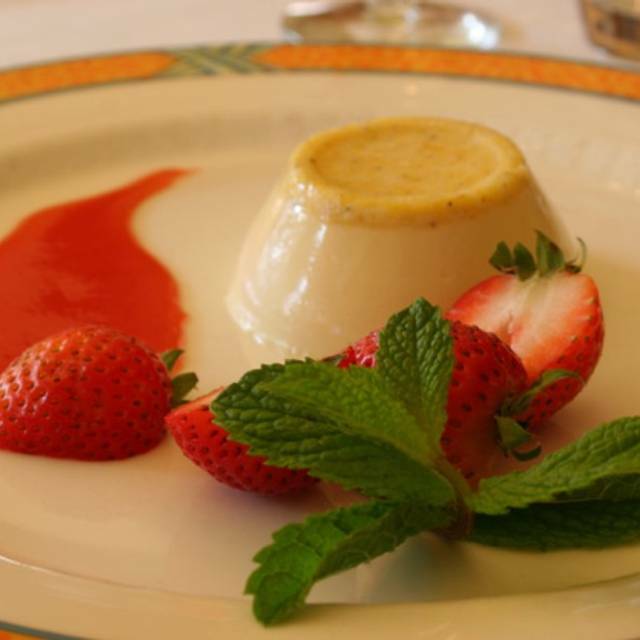 Since 1998 we have offered guests impeccable service and authentic Tuscan cuisine. 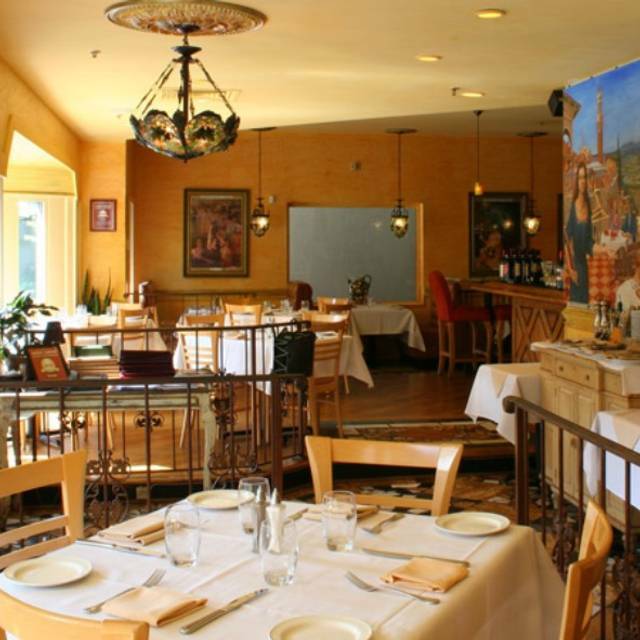 Toscana is the perfect setting for an intimate meal or group dinners. Our romantic ambience feels just like a tranquil European courtyard that will enclose you with it's old world elegance. Our seasonal menu of Northern Italian favorites is crafted with passion and offers only the freshest ingredients including local produce and herbs, as well as the finest, poultry, prime meats and seafood to bring the true flavors of Tuscany to your table. 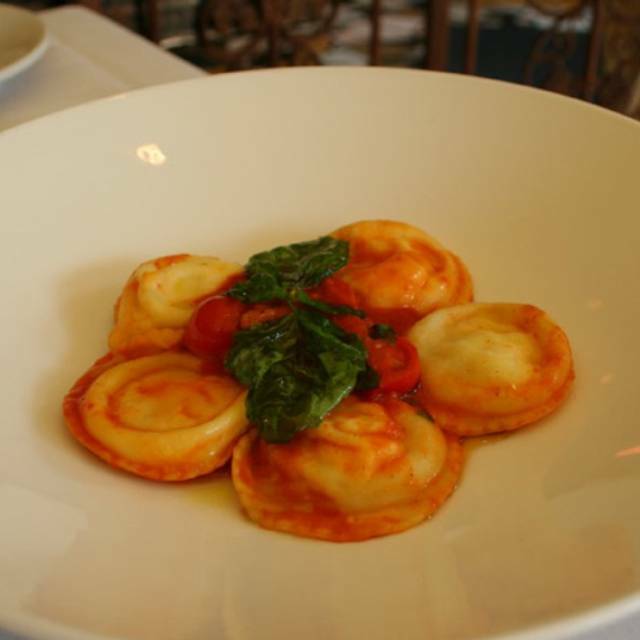 In addition all pastas and desserts are made fresh in-house daily. You'll also find an extensive list of fine wines featuring all regions of Italy. 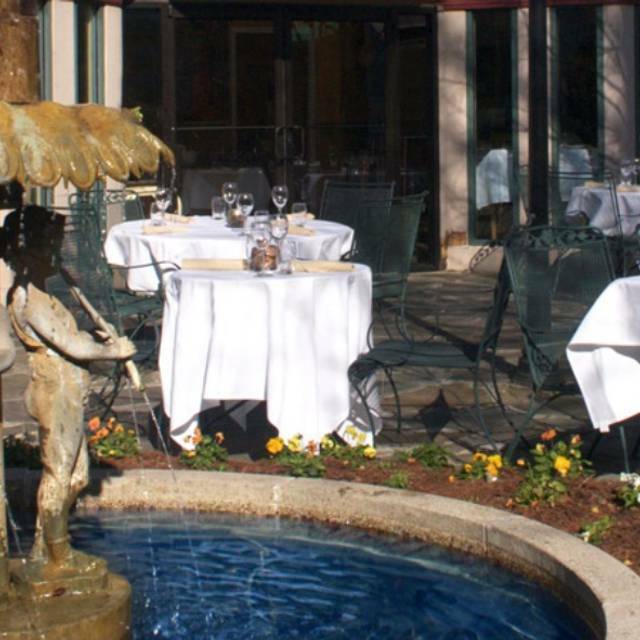 Come experience the flavors and ambience of Europe right here in the “Queen City." Best Italian in Charlotte. Everything about this wonderful restaurant reminds me of those small family owned restaurants throughout Italy. Un bel posto per un pasto. 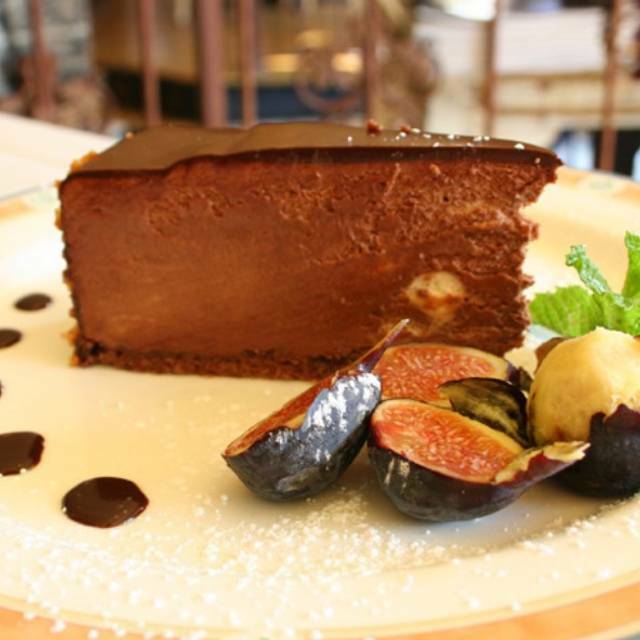 Tucked away in a nice shopping village, Toscana offers lovely ambiance with al freso dining. Great service, good (not great) food at upscale prices, and an excellent location. Beautiful outdoor courtyard , wonderful service and delicious food. Will return again soon. Service was great. Food was average but beautifully presented.Ambiance perfect. Food and service were exceptional. The table for 6 we had was in the center of the restaurant and there was quite a bit of ambiant Ouse - making conversation very difficult. Otherwise it was a great selection. We have been eating at this restaurant yearly for the past 19 years. If I am not mistaken the restaurant was originally privately owned but is now part of a group. The food remains excellent, the atmosphere is casual and pleasant. The service this year was not up to par and as many diners have remarked the nose level can be overwhelming. This year the ambient noise was compounded by a group of men sitting behind us who were celebrating a golf event! To compound this a few of the men stopped to chat with friends sitting opposite us. The aisle space was so narrow their posteriors were practically on our table! They were oblivious! Charming! Our waitress was very apologetic as she presented the bill and inquired about our meal. The manager who seemed aware made no attempt to apologize..nor did he appear to care. No points no review. The last time I was there I didn't get points either. What gives? As always, Toscana does not disappoint. Everything on the menu is delicious. The beans and bread they bring to the table are mouth watering. The service is always outstanding, the atmosphere inviting and the menu has something for everyone! Every time we are in Charlotte, this is our go to place! Locally Owned (Toscana, Luce, Malabar, Mezzanotte) - Always great food. great service. I love Toscana and would like to come more often. Had the veal this time and it was delicious. Loved our waitress. Have had several times before, she takes care of you but never bothers you. Took 2 ladies who had never been. They too loved their dinners. I love the authentic feel of this Toscana—like a comfortable dining room in Italy. I definitely would return to try more dishes. The butterra was amazing and the muscles were divine . We loved celebrating our birthday in such a special place. Sandy took incredible care of us. Everyone loved the desserts! Service was stellar. Noise level was too high for this price restaurant. Need better sound proofing and italian music. Always an outstanding experience - now I have trouble venturing to any other restaurant when I make a visit to Charlotte several times a year. On this occasion I had the branzino and my guest the osso buco; both excellent. 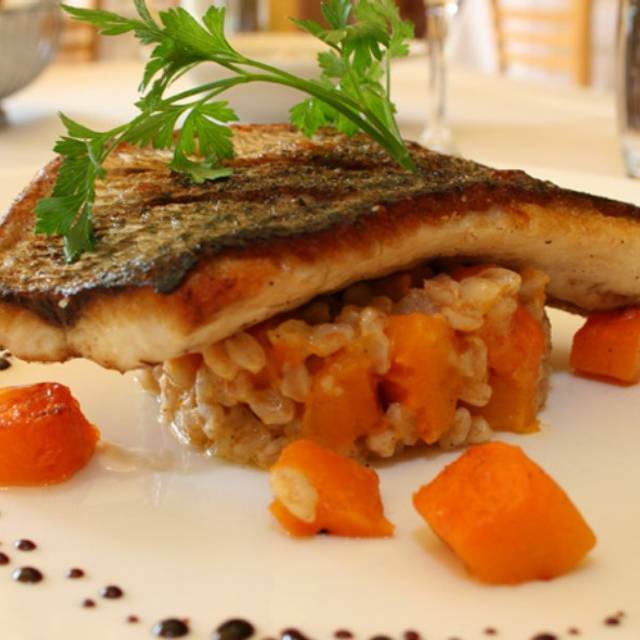 The branzino with vegetables was perfect, as I am on a bit of a restrictive diet that makes travel and eating out challenging. It was simply prepared, but with great flavor and texture. My guest raved about the flavor and tenderness of the osso buco. Yep, I'll be back. I asked the waiter his recommendation between 2 entrees, and he said...I'll take care of you. He brought me a portion of each as my meal! Food is outstanding! As always, the food was unbelievable and the service was too-notch. We especially enjoyed the Buccata and the authentic pasta Carbonera (pasta with egg may sound weird but it’s delicous!). We were lucky enough to have the owner as our server and we really appreciated all the information he shared about the different dishes. One of the most authentic Italian experiences in Charlotte! Enjoyed our birthday celebration at Toscanos. Food was excellent as was service. Portions were a little small for my husband but everyone else in our party had plenty of food. Seafood dishes and pasta all excellent. The food was amazing. I had the Osso Buco so tender and delicious. The wine that was recommended was also delicious and reasonably priced. Toscana has been in that location for decades. I suspect the reason for the longevity is the food never disappoints. The food was amazing!!!! The ravioli portion was a little small for the price but the atmosphere was excellent! My date had the gnocchi which was a bigger portion and loved it. The halibut was perfect & the Osso Buco is always delicious. Paired with lovely wine & the evening was memorable, as always. We also look forward to sitting outside, when it is a little warmer. Our visit to Toscano was very good. It was a family get together and w had a nice evening. The food was very good, the wine menu is excellent but the noise leve;l was high. 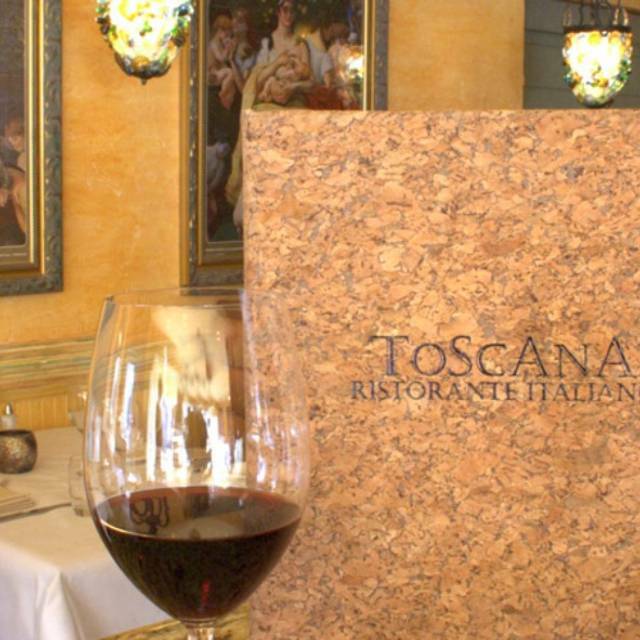 We would recommend Toscano to anyone visiting Charlotte. Always consistently good all the way around. The food was good, but not outstanding, warm but not hot. Our waitress was friendly and efficient. The rest of the staff were efficient, but not necessarily friendly - no smiles or engagement. This visit was not as wonderful as our last visit. Maybe just a bad night. We dined with friends Saturday night. The restaurant was very busy even at the relatively early time of 6:30 PM. 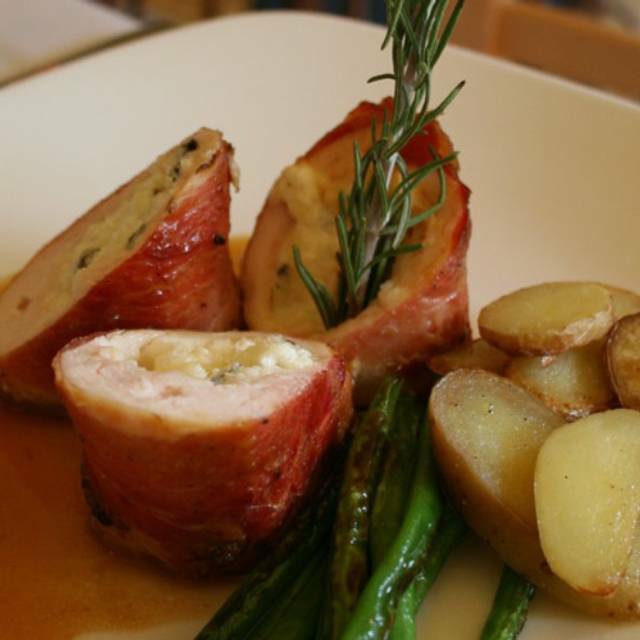 We have all been to Toscano many times and have always been very pleased with our experience. Unfortunately, this night did not measure up. Our service was very disappointing. We sat for some time before getting our wine order in. Then we sat for 30 minutes before reminding our server we had not received our bread and bean and oil accompaniment (one of the very best things about Toscano). Two of us had Caesar salads. The dressing was overly sweet and the lettuce had a distinct refrigerator taste. Fortunately, our entrees were excellent as usual from the branzino to the garginelli with short rib ragu to the osso bucco and always satisfying buttera. Sadly, our server never came back to check with us. Not sure what the reason was, but the service was far below what one usually gets at a Conte restaurant. Everything was fabulous, from the service to the food. Another delicious dinner at Toscana. Excellent service. We do miss the amazing outdoor patio in the winter, as it can get very loud inside. The chicken parm can’t be beat & the lasagna (bechemal) is comfort food personified - very large portion. Many options & daily specials always noteworthy. Save room for dessert. Always enjoy Toscana's, the food is great and the service very good. Nice setting, but the tables are close together and a large group (8 men in this case) can make it very loud and hard to have a conversation with others at tables nearby. We go for the food, and realize that conversation may be limited at times. Phenomenal and delicious. Everything we ordered was perfect and paired with great wine. I think this is our new favorite place in Charlotte. Can’t wait to go back! Wonderful as always. Great service! Outstanding food! Restaurant was crowded and staff seemed overwhelmed. However, food was fantastic as always and we enjoyed our meal. The food was a good value; the wine that was recommended was fabulous. The only thing that kind of ruined the night was while we were waiting there were these two women who I guess wanted to talk to a staff member and they kept opening and closing the door and trying to get peoples attention and it was bringing freezing cold air where we were waiting (and near where we were seated) and it took awhile to have them stop. Otherwise a pleasant evening. Great Valentines night out with my wife! We love the food and service and I have discovered a great chianti! The food and service were outstanding. One of the best meals ever!! If not for the noise, this would be 5 star. Service and Food is 5 star! Great food and great cocktails! Love this place.